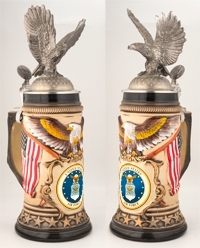 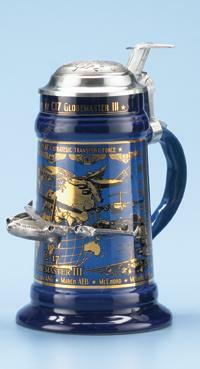 This stein is decorated with the United States Air Force seal on the front. 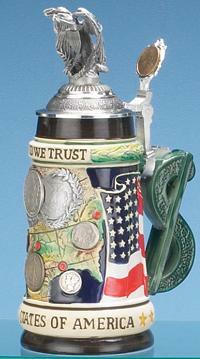 An eagle perches above it, and two American flags wave off to the sides of the seal. 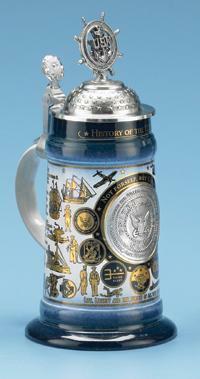 A row of stars bands the bottom of the stein. 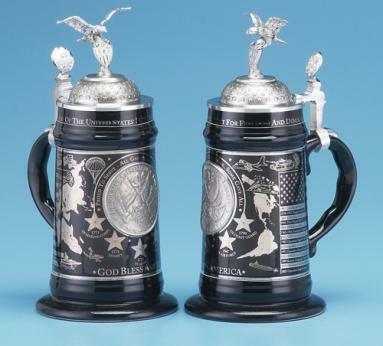 The pewter lid is decorated with stars and a figurine of an eagle poised to take flight.